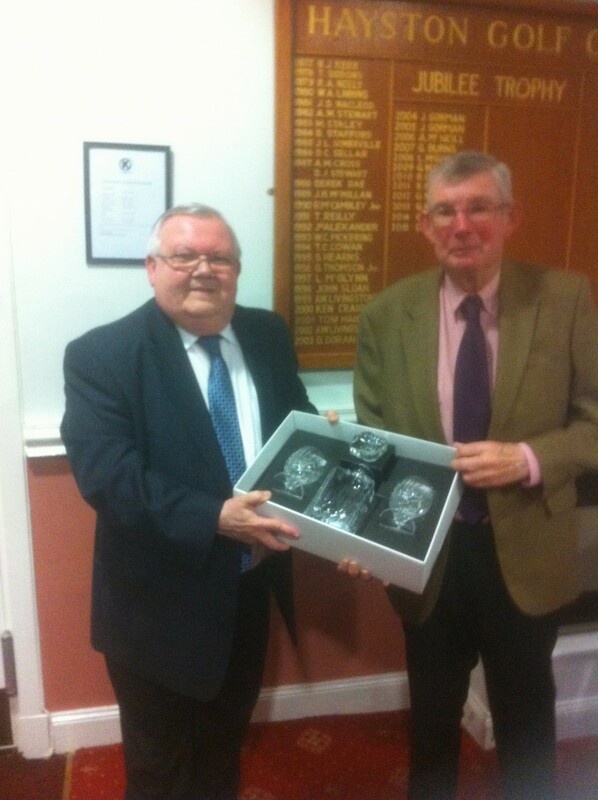 DGU President Hugh Semple presenting Ronnie Miller with a gift in recognition of his many year’s of service to the DGU. 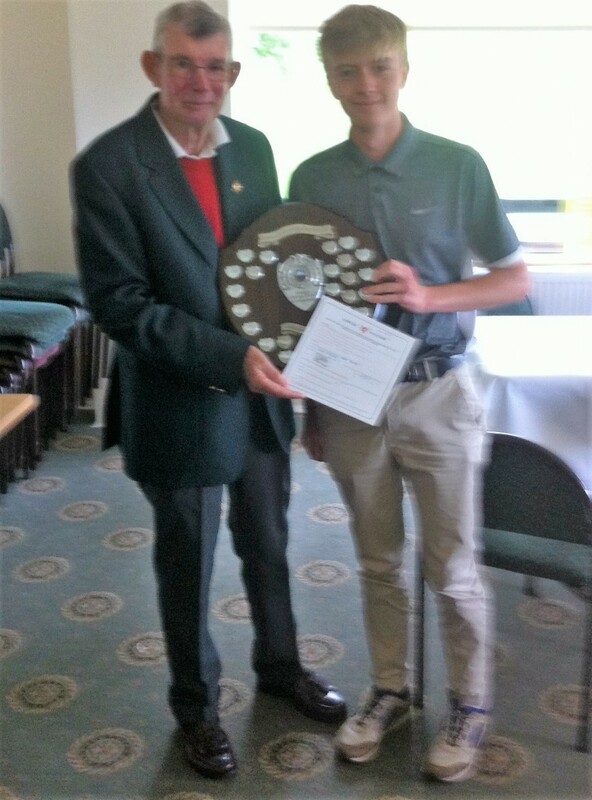 DGU President Hugh Semple presenting Euan McBride (Lenzie) with the Boys Medal Play Championship Trophy. 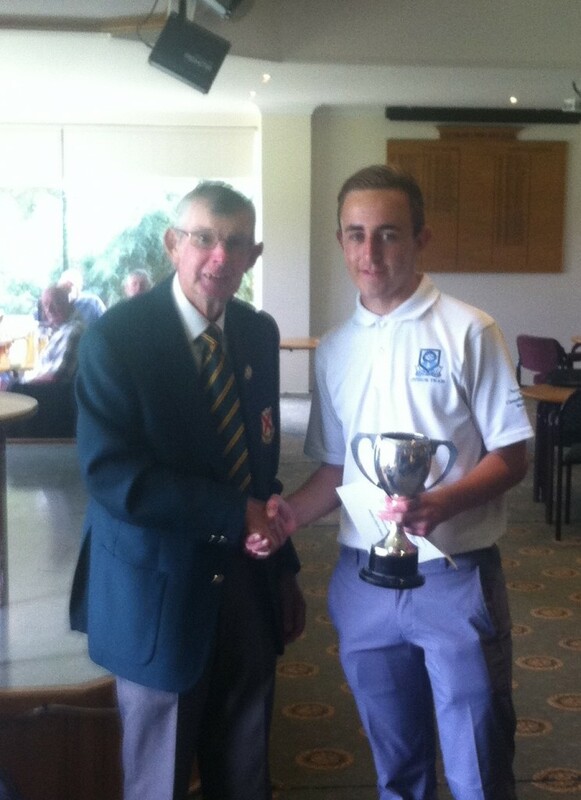 DGU President Hugh Semple presenting Blair Roger (Clober) with the Boys Match Play Championship trophy.